Salah Abdeslam, who is thought to be the logistical chief behind the series of terror attacks that rocked Paris last November, has been caught during a violent anti-terror raid in the Molenbeek neighborhood of Brussels. He is reported to have been shot in the leg, but is in stable condition. 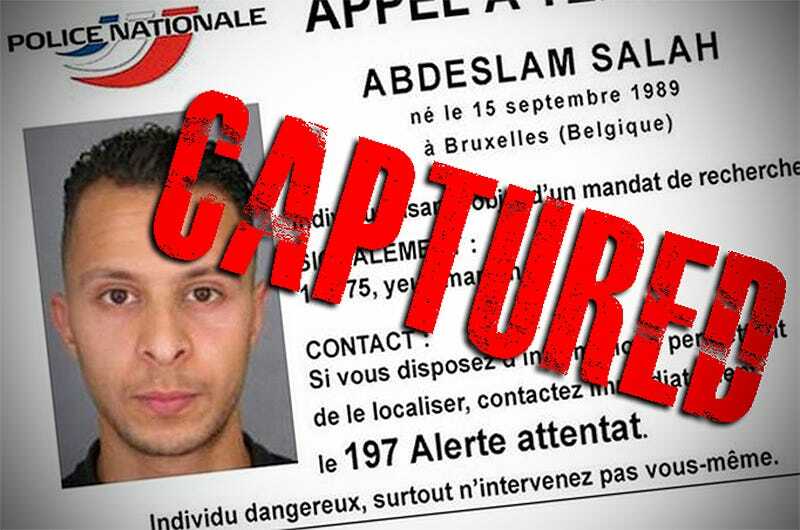 After a four-plus month manhunt that has spanned two continents, the apprehension of Abdeslam is a massive break not just for the ongoing investigation into the November 13th attacks, but also for learning how to prevent more of them in the future. By learning exactly what methods and procedures Adeslam used to carry out the operation, as well as tracing his potential ties to ISIS operatives, some of which can be as far removed as Syria, law enforcement could have the information they need fight the growing terror threat in Europe far more effectively than they are now. Counter-terror operations in the area of the raid that netted Abdeslam appear to still be underway, with the sounds of explosions being heard on the scene. Update: 12PM PST- Abdeslam’s fingerprints were found in a flat that counter terrorism commandos raided on Tuesday in Brussels. During the raid there was a shootout and two men got away. It is possible that evidence found in that flat led to today’s arrest of Abdeslam and that he may was one of those men who escaped after the firefight. Update: 3:00PM PST- BBC reports that five people were arrested in today’s raid. These included two armed men, one presumably Abdeslam, and three family members that are thought to have been sheltering him.